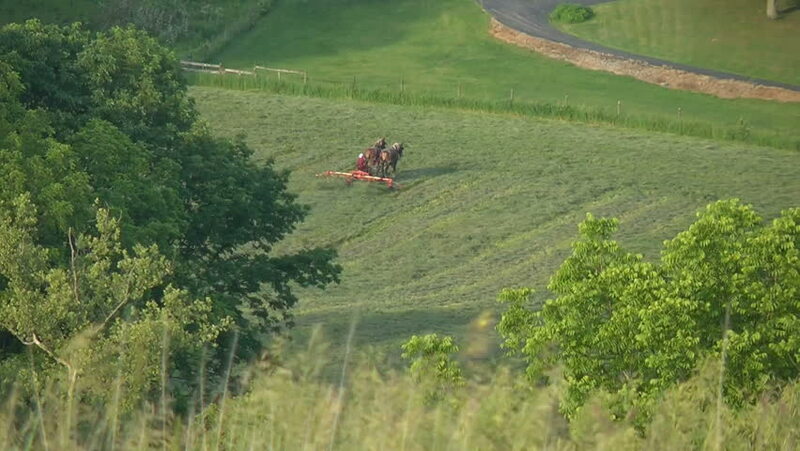 An Amish woman farmer working in a field, on a machine pulled by two horses. hd00:28Father Frost goes on the wood and waves a hand. The New Year's character goes between young fir-trees. Action in the distance. Accelerated. 4k00:11UHD 4K aerial view. Low altitude radial flight over sport yoga man at perfect green grass. Sunset in mountain. Green meadow and sun rays on horizon. Fast orbital movement.